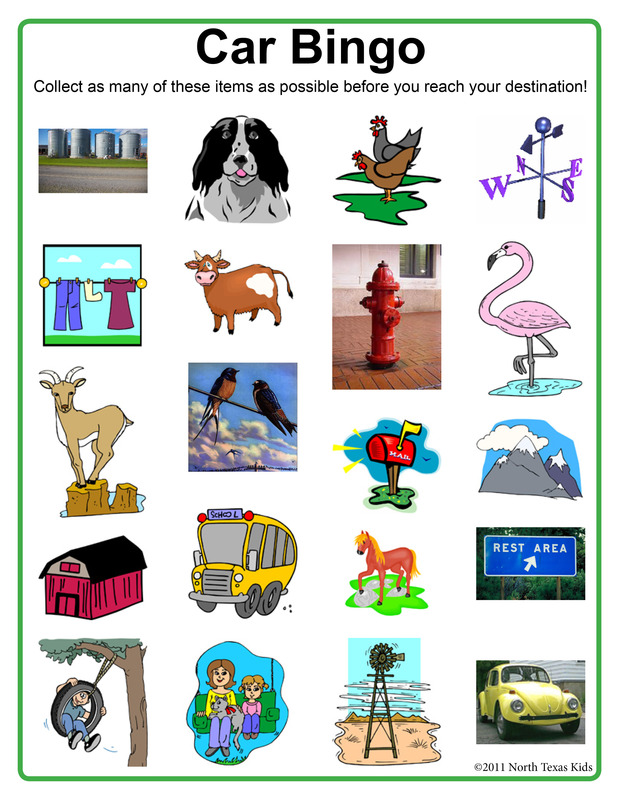 Playing car bingo is a great way to pass the time and keep kids busy on a road trip. The object is to mark off as many items on the sheet that you see during your drive before you get to your destination. When you see an item, call it out and mark it off on your sheet. The first person to spot the item and yell it out gets to mark it off their sheet (good to have a witness for this part!). Print or copy multiple sheets of this car bingo card enough for everyone in the car (even the driver can play, just have someone else mark off their items for them!). Make sure you make enough copies so you can play a new game on the way home. Or, you can reuse the cards by laminating them. With laminated cards, you can use a dry erase marker to mark off item and then clean up the cards with a wet wipe for a new game.